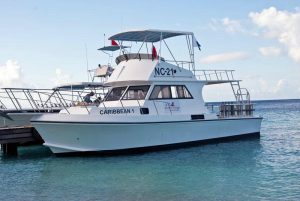 Curaçao unarguably offers great shore diving, but if you want to visit some of the very best dive sites the island, you’ll want to get there by boat. 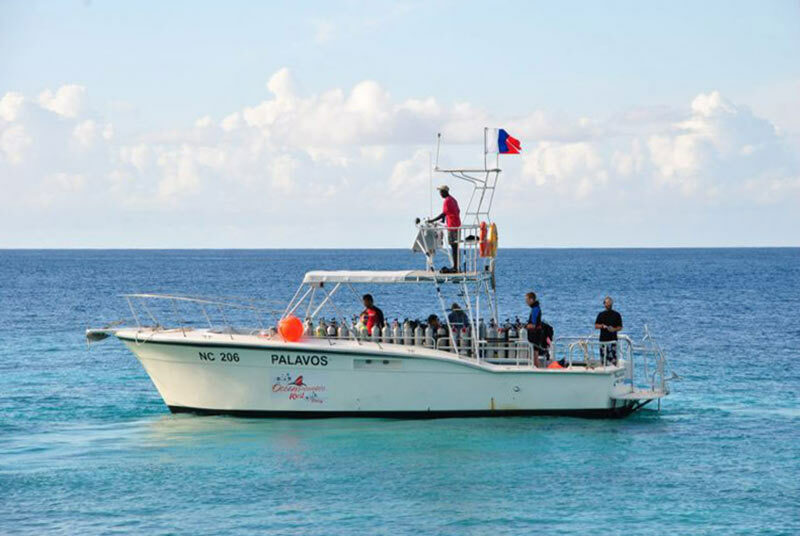 Go West Diving offers daily boat trips to sites which are hard to get to or impossible to reach from shore. The most well-known of these is Mushroom Forest. This expansive area of coral flats is named for the striking mushroom shaped coral formations. 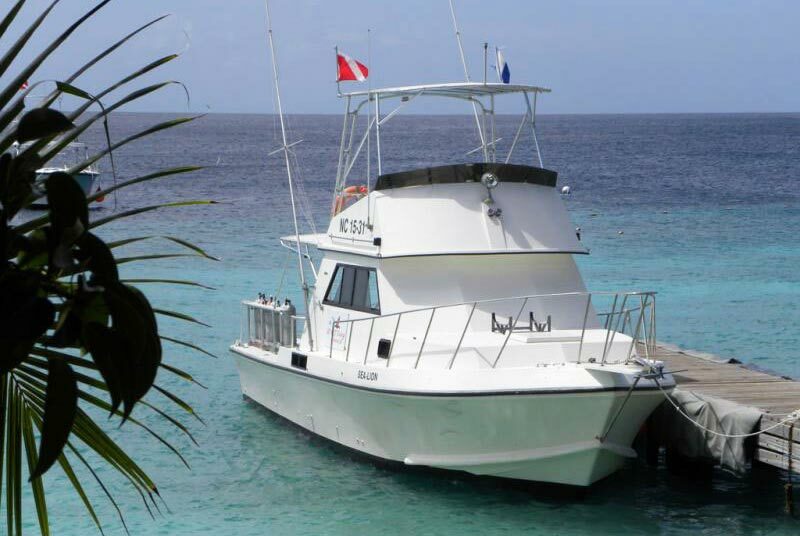 This is one of the top dive sites of Curacao and one we often visit twice each week. 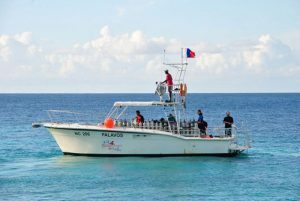 Most life is found around the 40ft/12m to 50ft/14m mark where gigantic mountainous star coral formations are still evident and attract giant moray eels, porcupine fish, barracuda and lobster. The most northern dive site we visit, Watamula, is only 5 minutes away by boat. 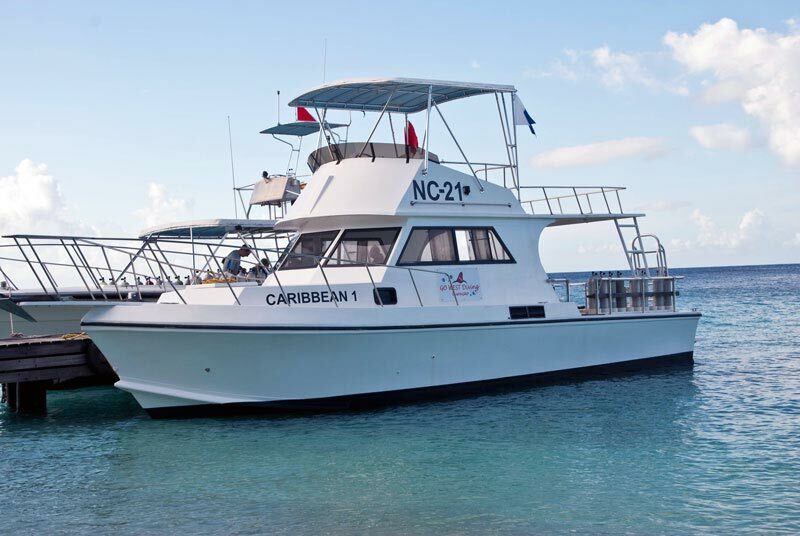 It offers spectacular healthy formations of hard corals, a soft coral-garden and a large variety of marine life. 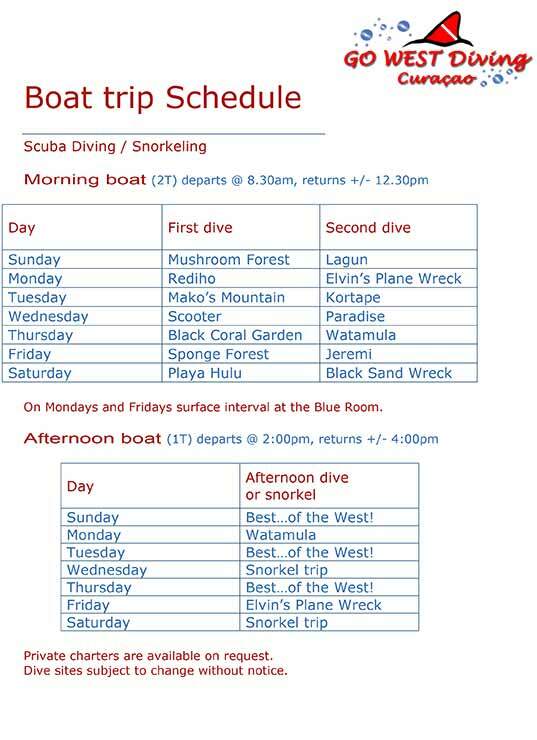 You can find out more information about all of the sites by visiting our dive sites page. Length: 11.7 m / 38ft. 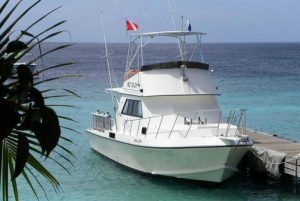 All of our boats include such amenities as camera rinse tanks, comfortable seating, platform and ladders, as well as VHF radio and safety equipment. A boat captain knowledgeable about boat safety and procedures always remains on board while the divers are in the water.